The Biogas is considered a renewable energy source because, if reused, it can be placed directly in the environment and it comes from a natural processes of decomposition of organic matter. The inclusion under the category of clean sources ensures that the energy produced by their use is “salable” in the form of green certificates to industries that use fossil fuels, which are required by many laws to invest money in energy from alternative sources. 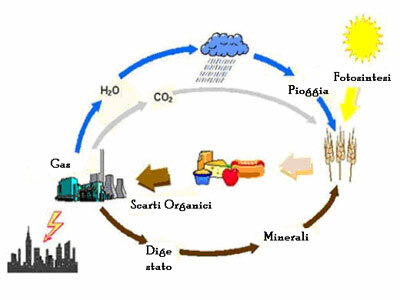 What we’ll try to do now, is to describe from the beginning to end the “cycle of biogas” in order to bring order to the terminology and operation of the different parts of the plant. Proceeding, we’ll describe also the possible construction alternatives specifying which of these can be chosen by the management of a company interested in investing. Organic Waste. It’s about waste originated by the industrial process of agricultural products: both liquid products (such as whey), solid products as macro fruit (residue from the production of various juices) and slaughter waste. In particular the latters (blood, fat, stomach contents, etc.) are of great interest as co-substrates due to their high energy potential. Energy crops. These crops are produced expressly for their use in co-digestion. The most-used are definitely corn, sorghum, triticale, wheat, rye etc. Once stocked, vegetable residues are daily transported and discharged by a scraper in a separate mixing tank where where they undergo a pre-treatment and are finally mixed. In order to optimize the plat yeld, or better, to improve the digestibility of the organic substance entered is possible to achieve specific preliminary treatment, obtaining a greater amount of energy per unit of biomass used, with evident energetic and environmental advantages; in this sense, we are developing an intense research activity in order to produce many updates in the future. Nevertheless preventive mixing plays a fundamental role too, the second treatment which is carried out at this stage. 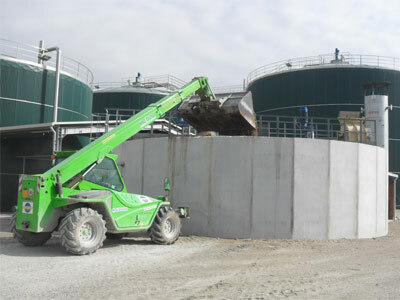 To optimize the efficiency of the anaerobic process, as well as every biological process, it is necessary to ensure maximum contact between the substrate residues, silage, pomace and liquid which, after a short period of storage in the mixing tank, is transported by a pipe and fed into the digester. Even the manure will be fed into the digester, but separately from the substrate. This is because the external mixing would cause bad odors. Entering with conveying by pumping. 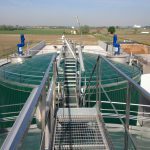 In a tank large enough to contain the power of one or two days, are collected substrates of pomace, vegetable residues and whey, and are thoroughly mixed to obtain a material sufficiently homogeneous and pumpable. The mixture then pass through a shredder and then pumped to the digester. 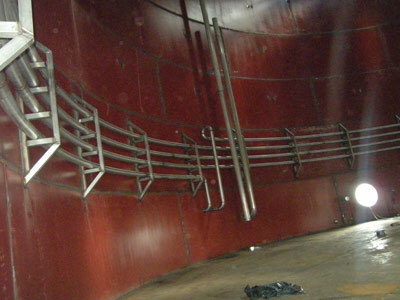 The slurry, which are stored in a separate tank, are pumped into the pipe containing the mix of biomass to 10% of dry just before the entrance into the digester. 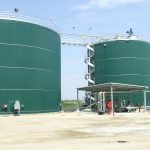 Is in the digester that begins the real methanogenic fermentation step of a biogas power plant, and therefore, the biogas production. You can also use two, one after the other, the so-called double. The substrates are placed in the first, where they remain for 60 days to ferment continually mixed, and then pass to the second, where they continue their fermentation under mixing for another 60 days. Steel solution. 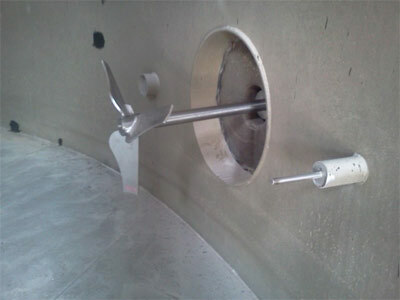 Is maybe the more flexible and easily adaptable to different installation requirements situation. One aspect to consider is certainly the needing of protection against corrosion and to prevent any possible depression in the system with special attention; various options are possible: from the use of corrosion resistant material, to coatings of various nature. The advantages of this solution are due to the execution speed and to the ability to restore the sites to their original state without special costs thanks to the ferrous material residual value. Is essential to ensure the building insulation in order to avoid any thermal bridge. A third option is to install a gas meter steel with water motor. The rise and fall of the bell indicates the amount of accumulated gas. This solution is normally adopted when using a steel digester. 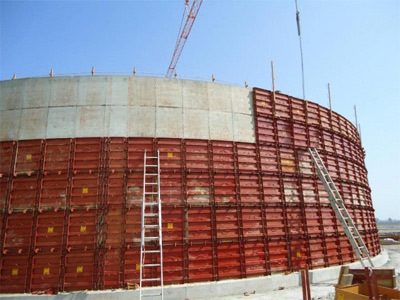 After fermentation the substrate is filtered by the coarse and fibrous parts before being conveyed in a container in reinforced concrete, taking the name of digestate, where it will remain for up to six / eight months. It will then be taken by tanker engaged in the distribution of the substance, of high nutritional value, on the fields, making it possible to fertilize and promote the growth of both the new crops of corn, triticale, sorghum, and cultures for the production of oils and wines. 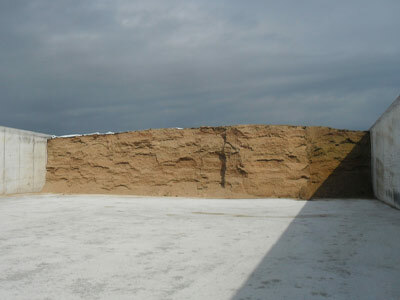 The solid filtered coarse-material, named “solid amendment” is used to make the ground and to fertilize it. It ‘also useful in the nursery and vegetable crops. The biogas is the most constant and reliable among renewable energy sources. ARE THERE RISKS FOR HEALTH? Is good to remember that when we talk about biogas power plants, we are talking about renewable energy, with a very low impact on the environment, and thus the health of citizens. Even according to the Kyoto Protocol, has been stipulated that this type of energy does not contribute to the increase of CO2 in the atmosphere, because the one emitted by the combustion is equivalent to that which is captured and converted into oxygen during the cultivation cycle of the vegetable. Please be aware that the securities issued by our plants, are also suitable for the most stringent regulatory requirements for plants greater than 3kW. You must avoid to subtract land intended for feeding and divert it to the production of energy, but use land that would otherwise be fallow or not exploited for the people’s livelihood. Do not spray lands with heavy doses of fertilizers and pesticides knowing that the crops are intended for non-food use, thus saving the unnecessary pollution of the soil and groundwater beneath. Thus, as usually common sense and a minimum of entrepreneurial vision is required. 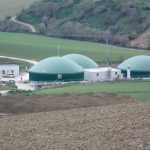 The clean energy source provided by biogas, therefore, appears as extremely convenient, both from the economic, environmental and energetic point of view.